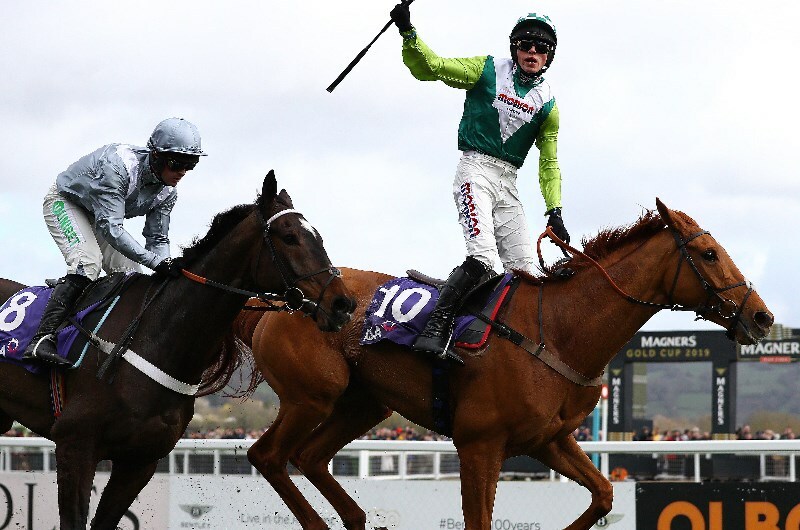 The RSA Chase might not have the history of some of the Cheltenham Festival races, but punters love betting on the Novices’ Chase and it remains as one of the better betting races of the four days. With a whopping 19 fences to jump, the big field stretches out over plenty of distance and it makes for one of the greatest spectacles during the jumping season. The RSA Chase is the second race run on Day 2 of the Cheltenham Festival. That falls on Wednesday March 12, 2020 and the official starting time is 2:40pm. The Day 2 card also includes the Novices’ Hurdle, Queen Mother Champion Chase and Champion Bumper at Grade 1 level. We have 2020 RSA Chase tips available. Trainer Willie Mullins is tied with most wins after getting a win with Don Poli in 2015. He has trained many champion winners of the RSA Chase but Nicky Henderson has trained some good ones too. Might Bite scored a popular win in 2017 and Henderson also trained Bobs Worth and Trabolgan to victory. Which potential champion will add their name to the past winners list this year? The grueling race for horses aged five years old or higher is a good lead-up race to the Cheltenham Gold Cup, with the likes of Bobs Worth and Lord Windermere going on to win the Gold Cup the following year. First run in 1946, the RSA Chase has been raced under many different names but currently is run under the RSA Insurance Chase title. The most successful jockey is Pat Taaffe, who scored five wins starting in 1953 and ending in 1970 when Proud Tarquin was victorious. The most successful recent jockey is Davy Russell, who scored wins in 2010, 2013 and 2018. Peter Scudamore scored three consecutive RSA Chase wins from 1991-1993. That feat has only been recorded once in the history of the race, with Pat Taaffe scoring three wins in four years. From 1948 to 1950, the race was held in divisions and the very first winner of the RSA Chase, Birthlaw, was aged 11 – a record that stands to this day. Most of the recent winners are aged seven of eight, with the seven-year-olds scoring 13 of the last 19 editions. The 1947 edition was abandoned due to snow and frost. The 2001 race, like every other race during the Cheltenham Festival, was called off due to a foot-and-mouth crisis. The 2019 RSA Chase was taken out by Topofthegame for trainer Paul Nicholls and jockey Harry Cobden. The 2019 replay shows the winner holding off a game challenge from the chasers.